Hey friends! Happy Friday to y'all!!! I want to give a big thank you to all of you who link up each week for the BEST OF. 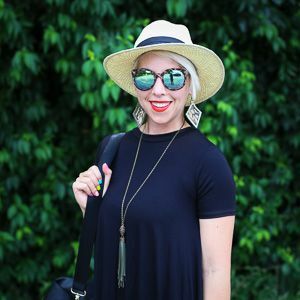 I truly enjoy "meeting" new bloggers and getting inspired by your style posts. So let's just cut right to it, shall we? 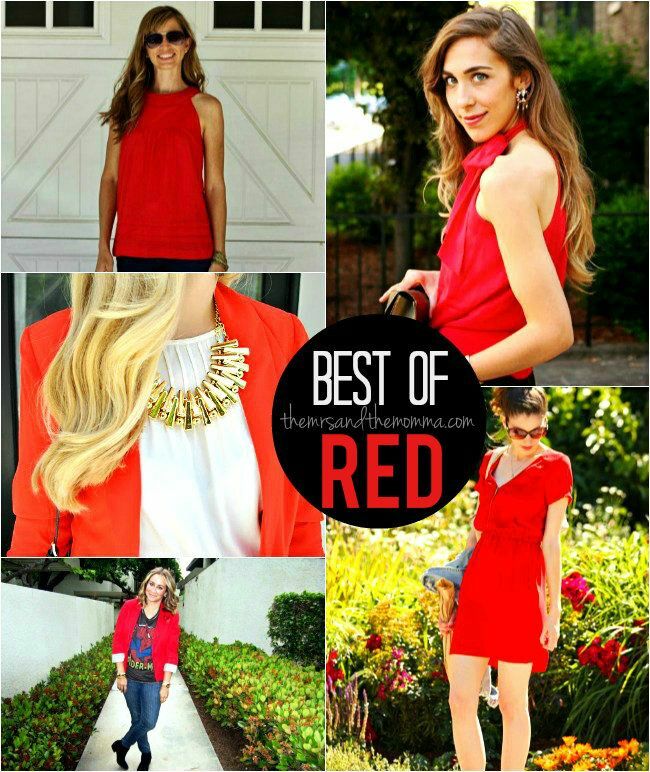 In honor of the Taylor Swift RED concert we attended on Tuesday, I thought this week's BEST OF theme should spotlight the color RED! I've always been a fan of wearing red...I think it looks good on almost everyone and tends to put a little pep in my step. What a vibrant color to take us into summer, huh? This week's BEST OF picks feature some lovely ladies dressing the color up, down, and just letting the hue speak for itself. 2. Please be a follower of The Mrs. & The Momma..
3. Grab a button or link to my blog somewhere in your post. 4. Link up your post with your blog name, not your post title. Huge fan of red. And especially that red with the gold. So cute! I'll immediately grasp your rss as I can not in finding your e-mail subscription link or e-newsletter service. Do you've any? Please allow me know in order that I could subscribe. and will be tweeting this to my followers! Outstanding blog and wonderful design. Oh red... I have a lot hate relationship with it haha. I love it when I see it but wear it so sparingly. However I have been inspired! So I'm kind of excited about it! Love seeing what you choose for the best of theme each week. I won't lie... its a little thrill each Friday morning! Oh the little things haha Thanks for hosting my friend!